Skin rashes may arise from many different causes, including contact allergies and any number of irritating substances. 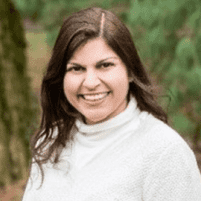 Anita N. Wasan, MD, at Allergy and Asthma Center has the expertise to determine the cause of your skin rash and develop an individualized treatment that relieves your symptoms and helps prevent future outbreaks. If you’re suffering from an itchy, annoying skin rash, schedule an appointment using online booking or call the office in McLean, Virginia today. Skin rashes arise from various causes, and they lead to a wide range of symptoms. You can also develop a skin rash from a bacterial, viral, or fungal infections, or from autoimmune conditions or medications. These red, itchy welts range in size, develop anywhere on your body, and often appear suddenly. Although an allergic reaction usually causes hives, they can also occur when you have an infection or fever. They usually clear up on their own, but Dr. Wasan can help identify the underlying cause and provide treatment that helps prevent future outbreaks. This itchy skin rash usually begins in young children, but it also affects adults. It can be triggered by many allergens or irritants including soap, pollen, dust mites, pet dander, cleaning products, certain types of materials in clothing, and some foods. This type of rash develops when your skin comes into contact with an irritant or allergen. Irritant contact dermatitis occurs when a substance damages part of your skin. Allergic contact dermatitis is known by the itchy, red, and blistering rash caused by many possible substances such as poison ivy, nickel, latex, and preservatives in cosmetics and skin care products. How might my skin rash appear? Some types of rashes start as a dry, scaly patch then turn into a red, itchy bump. The first step is to determine the underlying cause of your rash. Dr. Wasan reviews your medical history, examines the rash, and performs allergy testing when your outbreak is likely due to an allergy. The doctor may also refer you to a skin specialist for treatment options. If an allergy is identified, Dr. Wasan helps you develop a plan to avoid the allergen as much as possible. Depending on the allergen, you may also be treated with allergy shots so that you can build immunity that diminishes your allergic reactions. If you have an annoying or severe rash, schedule an examination by calling Allergy and Asthma Center or booking an appointment online.